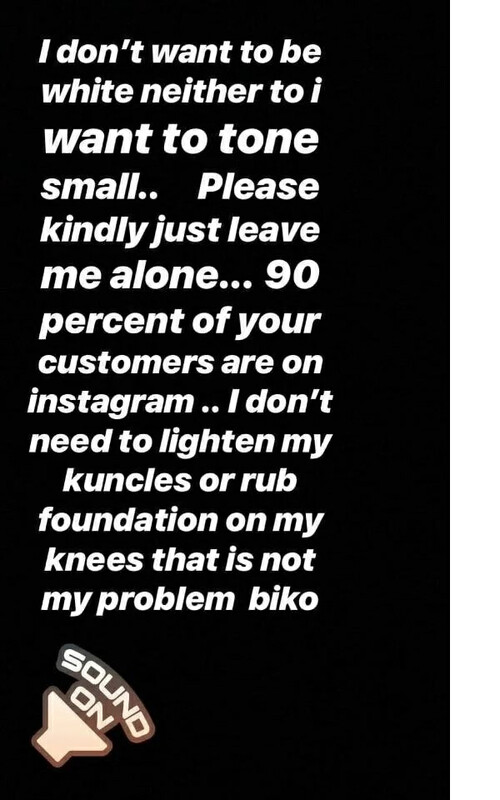 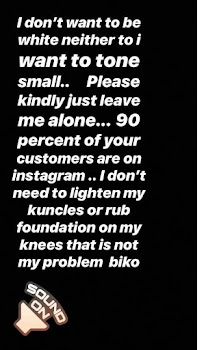 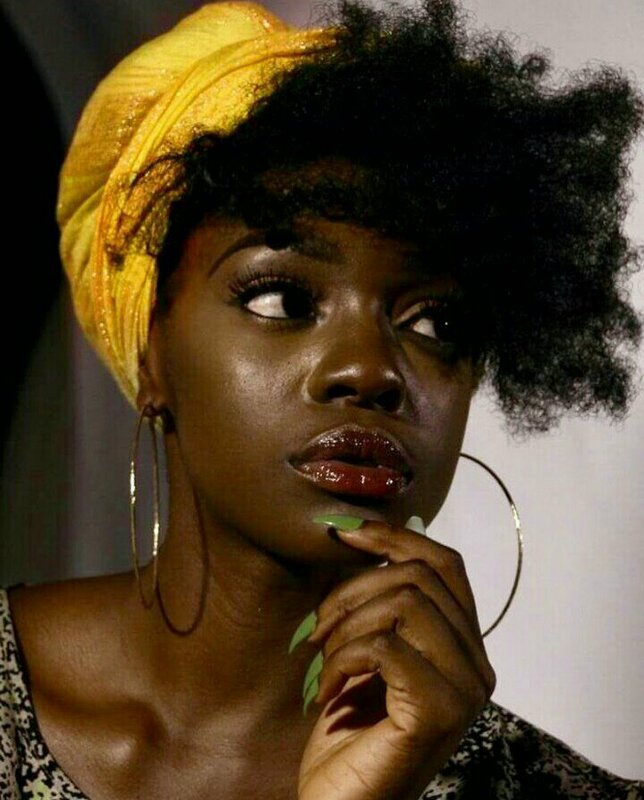 Beverly who might have been receiving tag notifications on her Instagram account from different marketers who deal on bleaching creams and soaps must have being fed up. 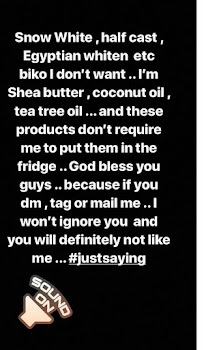 She took to her Instagram account to shoo them away telling them, she isn’t interested in their products neither does she want to bleach her skin. 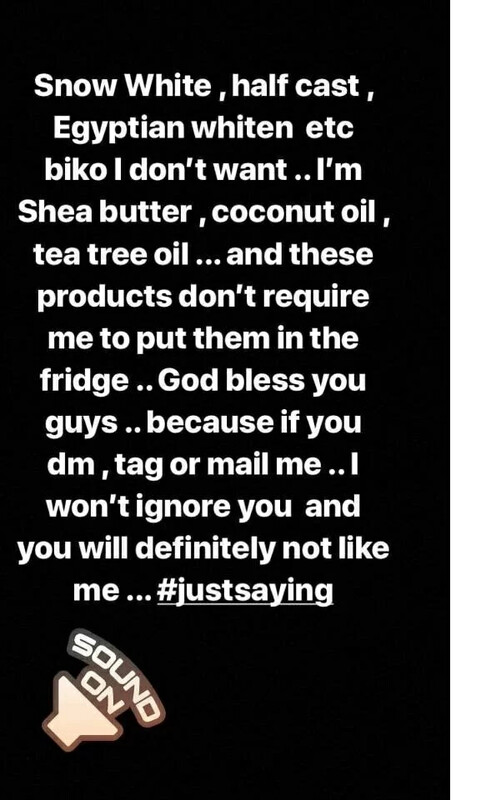 According to Beverly she said, she doesn’t want to be fair, or use creams that will ever lighten her, to her she said she prefers shea butter, coconut oil and other creams she doesn’t have to put into the freezer. 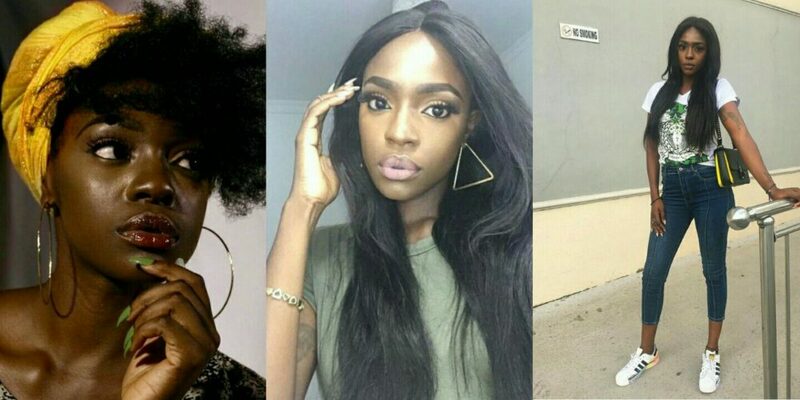 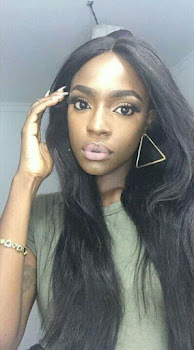 Beverly also warned them to desist from tagging her and sending her mails because they won’t like her response if they continue their act.